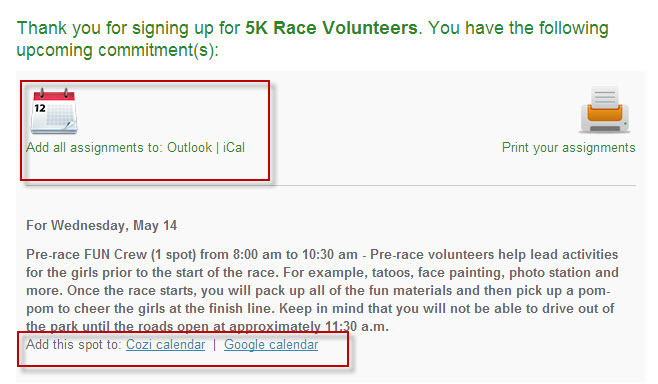 Syncing your SignUp assignments to your electronic calendar is easy. If you signed up on a smartphone, the very last screen has an option button to add to your calendar. If signing up on a computer, the very last screen once you have signed up and your spots are confirmed has links to sync to your calendar. 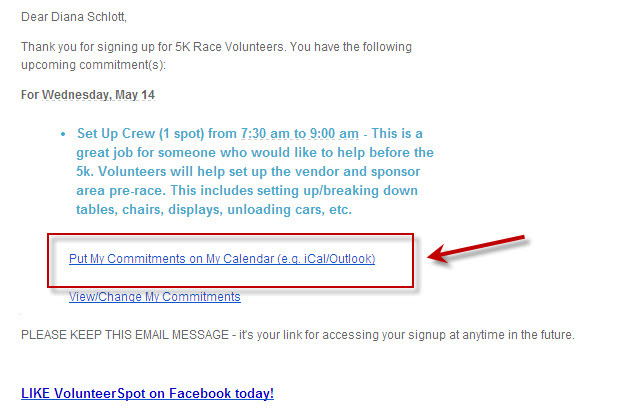 If you miss those opportunties, you can also use a link in your confirmation email to sync with your calendar.